Organic dried pineapple – give your immune system a powerful boost this winter! 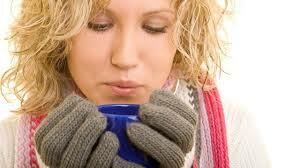 Contrary to popular belief the only way to contract a cold or flu is from a cold or flu virus. And with around 200 different cold and flu viruses at large every winter, the likelihood of succumbing to one is extremely high. In fact colds and influenza tend to peak in the UK between December and March – that’s because viruses thrive in moist conditions and are more easily spread (via droplets that are sneezed or coughed out by an infected person) when we stay indoors and within close proximity to one another. According to the NHS, one-third of Britons believe that flu is just a bad cold. Yet every year thousands of people (especially vulnerable people such as those over 65 years of age or suffering from long-term health conditions) die from complications resulting from flu. So, what can you do to prevent this seemingly inevitable feature of the British winter? The best way to protect yourself from colds and flu is to enjoy a healthy, balanced diet and take plenty of regular exercise, as this will keep your immune system fit and strong. The immune system is your body’s intricate system for detecting and neutralising a number of agents that can cause disease, including viruses. There are a number of special superfoods that are particularly adept at strengthening your immune system and are thus an ideal addition to your diet at this time of year – organic dried pineapple is one of them. What is organic dried pineapple? Organic dried pineapple is a scrumptious superfood snack made from sun-dried chunks of organic pineapple. Pineapple (Ananas comosus) is a (sub-) tropical fruit that belongs to the Bromeliaceae family and is predominantly cultivated in Asia, Africa, South America and the US state of Hawaii. Pineapple, which was traditionally used as an anti-parasitic agent and to induce menstruation, is low in calories and rich in beneficial nutrients, such as vitamins (A, C, B1, B2, B3, B5 & B6), minerals (manganese, copper, magnesium, potassium), bromelain, folic acid and dietary fibre. Consuming organic dried pineapple on a regular basis can aid digestion, prevent inflammation and even provide protection against macular degeneration. Organic dried pineapple is loaded with vitamin C – a water soluble antioxidant that helps to defend our body against the free radicals that attack and damage normal cells, such as viruses and bacteria. Vitamin C is therefore vital for a robust immune system, which is why so many of us turn to vitamin C supplements to treat recurrent colds and flu. In addition to vitamin C, organic dried pineapple contains smaller quantities of vitamin A and beta-carotene, which also play an important role in eliminating free radicals and help to strengthen our immune system. Organic dried pineapple is an excellent source of the trace mineral manganese – an essential cofactor in a number of enzymes important in antioxidant defence. Indeed, it is a key requirement in the production of the oxidative enzyme, superoxide dismutase, which sets about actively disarming free radicals. Just one small handful of organic dried pineapple is comparable to a portion of fresh fruit, making this intensely sweet and temptingly chewy superfood an incredibly sensible snack between meals. To enjoy delicious protection from colds and flus, try devouring organic dried pineapple straight from the bag or mixing with nuts and other dried superfruits to create a tasty trail mix. Alternatively you can use it as a colourful topping for breakfast cereals and desserts or as an additional ingredient in all of your favourite homemade raw chocolate, cakes and biscuits. The post Organic dried pineapple – give your immune system a powerful boost this winter! appeared first on Superfood blog - Healthy, Rawfood Lifestyle.